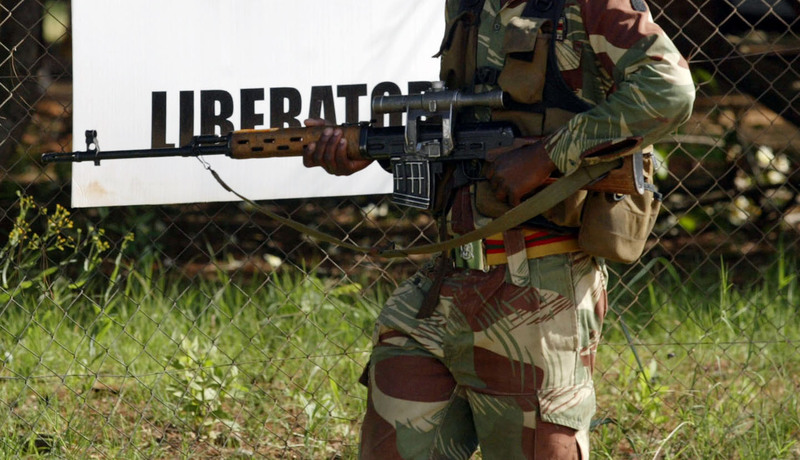 Zimbabwe Lawyers for Human Rights have revealed that members of the Zimbabwe Defense Forces have abducted Chairperson Crisis in Zimbabwe Coalition leader Rashid Mahiya's mother in a bid to force him to avail himself so that they take him him. "Soldiers pick up Mrs Mahiya (Rashid Mahiya's mother) to put pressure on Rashid." ZLHR said. "ZLHR condemns this illegal act which is unconstitutional." On Zimbabwe Peace Project leader Justina Mukoko announced that members of the ZRP Law and Order session stormed the house of ZimRights Director Okey Machisa claiming they are looking for Rashid Mahiya. "I just got a distress call from Okay Machisa who reports the presence of an unmarked vehicle and a kombi at his residence the occupants claim they are looking for Rashid Mahiya." Mukoko revealed that the police made the Machisa family to do a parade before leaving the house. "Machisa says they asked him to parade his entire family at the gate before leaving but we are not sure for how long they will be gone. They claimed to be from Law and Order." Police and Army details are doing a crackdown on citizens after Mondays' violent protests that rocked the whole country.